Waverley manufacture and install a range of high performance window blinds, curtains and canopies for the commercial, education, hospitality and healthcare sectors. We believe the performance of an organisation is hugely impacted by the working environment in which it operates. To this end we use our expertise in the science of solar shading to help architects, specifiers, contractors and facilities managers to create exceptional working environments. All of our products are designed to suit the rigours of the commercial, education and healthcare environments, and our staff are familiar with the demands of tight deadlines. Whilst we don’t claim to be perfect, we work hard to keep our promises and communicate with our clients to ensure challenges are met on time. We are passionate about using blinds to improve the energy efficiency of buildings and boost the health & well being of its’ occupants. We have invested time and money into teaching clients the science of solar shading so they can make informed decisions. Waverley is family owned and managed. We promote values of honesty, integrity, accountability and teamwork and this is reflected in a motivated and loyal team, many of whom have been with the company for more than 10 years and some as many as 25! Waverley was founded in 1983 in the council borough of Waverley in Godalming Surrey, just 8 miles from our current location. First known as ‘Waverley Contracts’ the owner bought made to measure blinds from trade suppliers and serviced the residential and commercial market within a 20 mile radius. Fast forward to 2000, Waverley was purchased by the current senior director who systematically rung the changes to make the business fit for the 21st century. Larger premises were secured, and in-house manufacturing began. Three years later, three sons became joint owners and the business continued to grow. In 2005 larger premises were purchased to make space for the rapidly expanding company. Now with over 35 employed staff and continuous investment in operational improvements, the company is well placed to service the needs of the market for many years to come. Waverley are one of the few companies in the industry to handle the entire process from discovering your needs right through manufacture, installation and final commissioning. We listen to your needs and desired outcomes. Our experts can suggest solutions, write specifications and provide case studies of similar projects. We love visiting sites! We can then identify possible hurdles to the success of your project. Our surveyors will take accurate manufacturing sizes prior to manufacture. Our state-of-the-art manufacturing facility works hard to produce your products on time. Each product is checked and tested before it leave the factory. Installation dates are agreed between you and our project managers. Uniformed fitters will arrive on time and with all necessary Health & Safety documentation. Waverley will help you ensure your finished installation is ready to give you many years of use. Operations and maintenance manuals are provided at the end of every project. 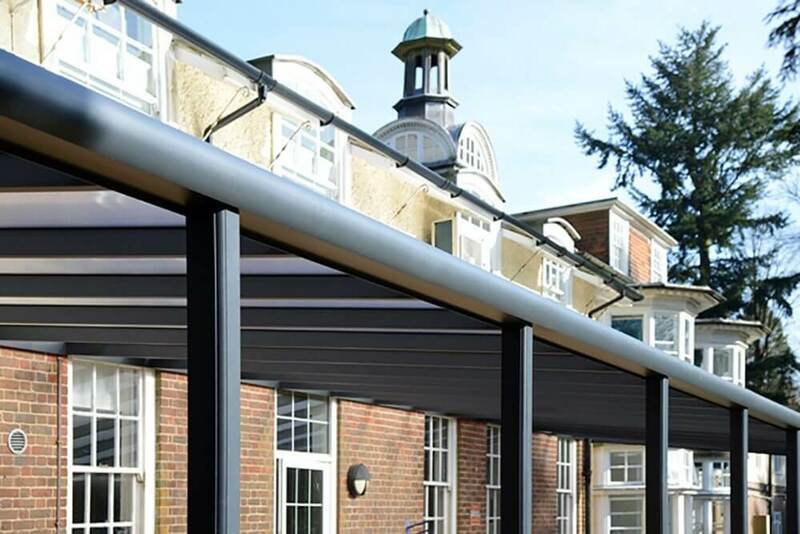 We are happy to provide operator training on all of our products to ensure you get the best out of you shading system and to avoid damage through misuse. All of Waverley products are covered by at least a 12 month warranty and many come with 5, 10 and even 25 year warranties. Whilst blinds curtains and canopies require very little maintenance, Waverley can carry out annual checks on all of our installed products. This is particularly recommended for motorised blinds. Waverley has always been a leader in the industry and this applies to Building Information Modeling (BIM). BIM is an intelligent 3D model-based process that equips architecture, engineering, and construction professionals with the insight and tools to more efficiently plan, design, construct, and manage buildings and infrastructure. All government funded projects will be required to use BIM by 2016 which has put pressure on architects and main contractors to implement the necessary changes to make this happen. The implications of this fast-moving trend are recognised by Waverley who have already invested in BIM objects for their ShadeTech range of roller and dim-out blinds with BIM objects of other projects and being rolled out during the twelve months. Now architects and contractors have a blinds, curtain and canopy partner that can provide BIM objects on all projects.